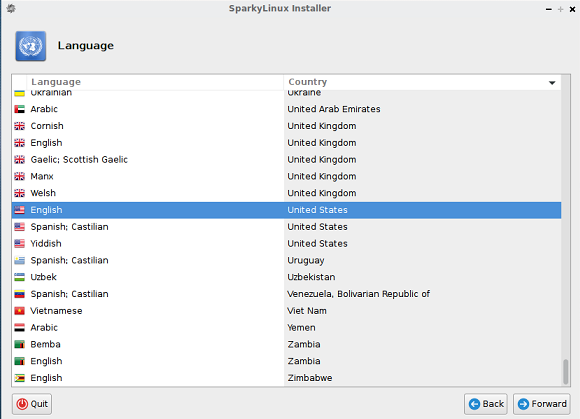 SparkyLinux 4.0 is new release of this Debian based operating system, it is created on the testing branch of Debian and comes with multiple desktop environments. Its lightweight linux distro and this latest release comes with Linux kernel 4.0.5. 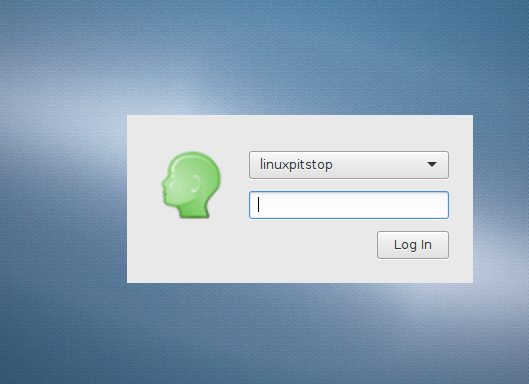 The new release is available with KDE, Xfce, MATE, LXDE, and LXQt desktop environments. 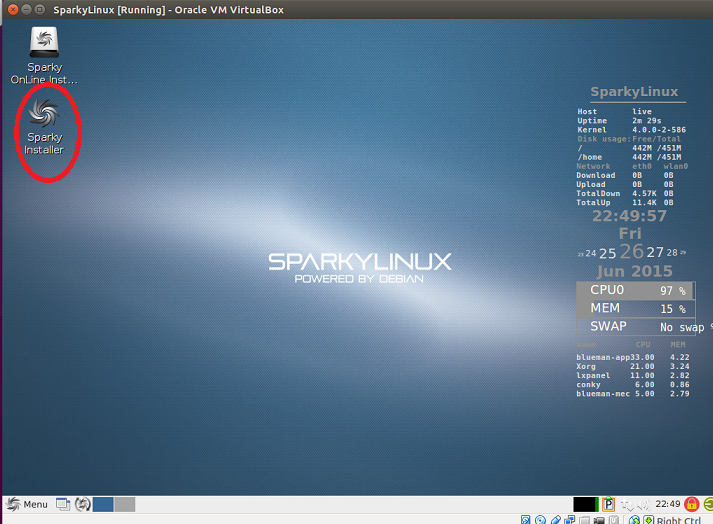 SparkyLinux 4.0 received complete system rebranding, it has eye candy spark them and ultra flat icon set. It offers enhanced features in the field of media players and other pre-installed system application. This new release is based on testing repositories of Debian 9. We will be showing the installation process of this operating system with LXDE desktop environment. 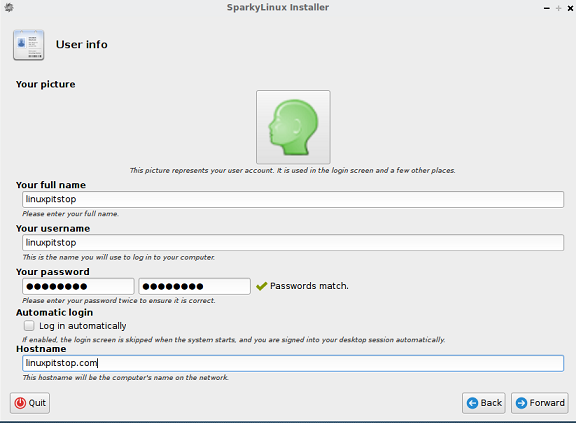 There are couple of ways through which you can initiate the installation process for this eye candy operating system. 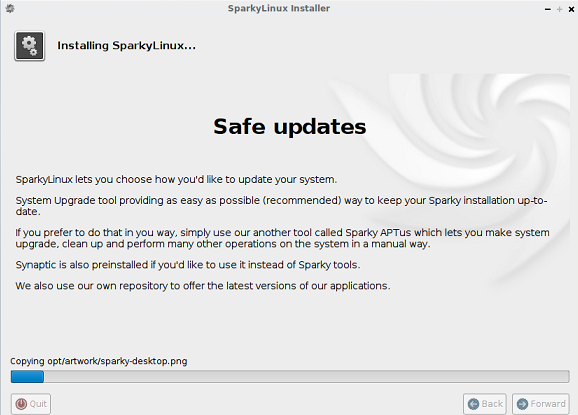 (a) Download SparkyLinux 4.0 ISO and burn it to DVD/USB drive and boot your system using this DVD/USB. Whichever method you choose, here is the very first screen you should see when booting up using this operating system ISO. Wait for a moment and it should take you to the live desktop. 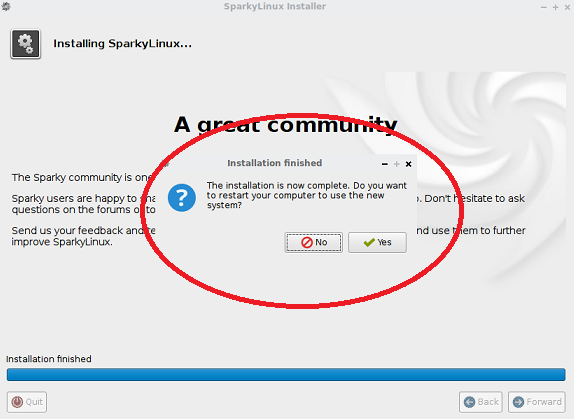 From here click “Install Sparky” option (Shown encircled in following screenshot). 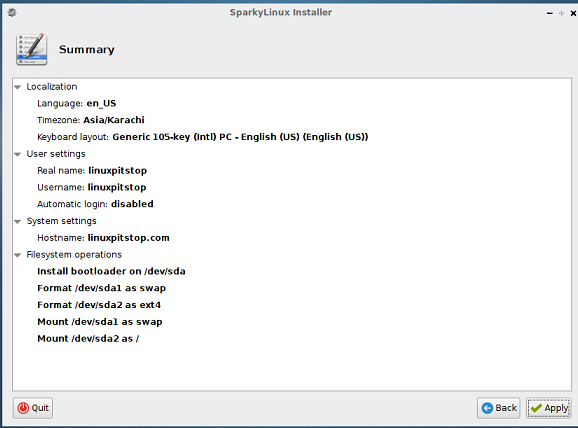 The installation process will start now, at very first screen choose your language for this OS installation. 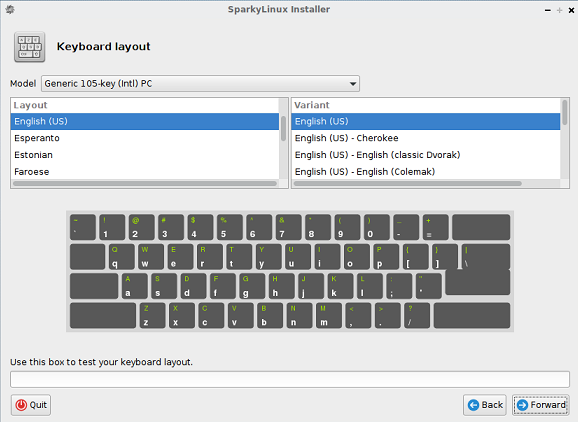 On second step, choose your keyboard layout. Here provide your user account details for this new operating system. We are on the most important stage of installation, partition scheme, default partition scheme choice should work for most of us, but if you want custom partitioning for your operating system, that’s the place to do it. Hit “Forward” and review the installation summary on next screen. Click “Apply”, there you go, your operating system install is in progress now. It will keep you updated with installation progress via graphical progress bar.